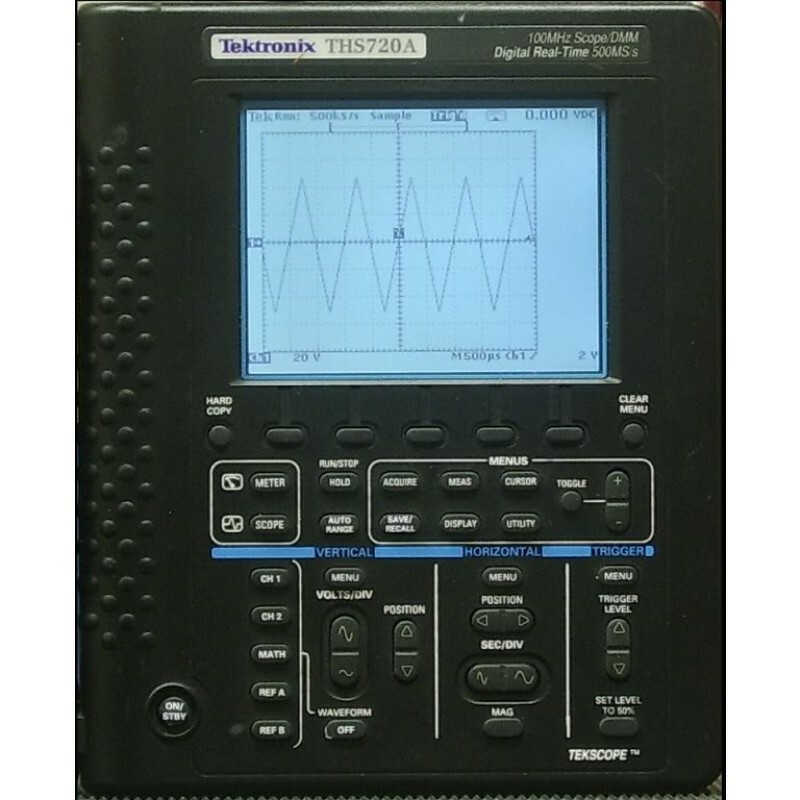 Our lightweight THS700 Series integrates a 100MHz , 500 MS/s, two-channel display-benchtop specifications – with a true RMS DMM in a powerful handheld device to give you an unprecedented combination of power and portability. Now you can tackle just about any measurement problem: from ATM servicing and automotive repair to industrial automation and ultrasound imaging. You can operate the scope and meter modes simultaneously or independently – on the same or separate signals. You can also digitize at full bandwidth on both channels simultaneously. Compact and rugged, the THS700 Series rewrites the rules on what a handheld instrument can do.